Arthur’s Mystical Tour…an inner and outer journey of discovery! A transformational quest through southwest England’s ancient, Neolithic, Celtic and Arthurian sites. Follow the footsteps of Joseph of Arimathea, Arthur and Guinevere, Saints and Sages, Pagans and Priests. Find the spirit of past merging with the present. Listen to the wisdom of the stones, the roar of the sea, the memories of the trees…perhaps touch the future inside crop circle. Learn about ley lines connecting the sacred sites, and feel their vibrations while standing on places of power. Find your connection with self, while connecting with these special timeless temples…let them guide you and whisper truth to your soul. If you are a tour leader or a spiritual facilitator planning on bringing your own group, please inquire. We have extensive experience organising and facilitating tours for small and large groups up to forty persons. We are trustworthy, professional, and honest, and happy to help. Find costs below for 7, 9, and 12 day tour. 3 Star B&B en-suite Accommodation *An extra charge of £200 – 250 will be added for single occupancy. (persons who would like a room on their own) *More luxurious 3/4 star hotels can be found if required, at extra cost. All transportation and entrance fees (including airport pick-up and return). 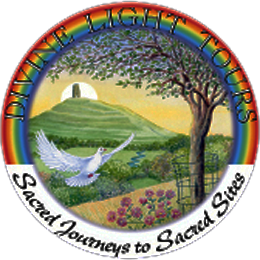 Full guided tours with ritual and ceremony to release the old and make space to receive at these power spots, which have been places of initiation for thousands of years. Places we visit include: Glastonbury, Stonehenge, Avebury, Crop Circles when available, Tintagel, St. Michael’s Mount, Bath, Wells, Dartmoor stone circles. Plane fares to UK. Everyone travelling must have their own personal insurance as this is how we can keep costs down. Other dates and destinations available by request. Extra days can be added. Please inquire.